If you are used to burning photo and videos to your DVD disc, then you can’t avoid some problems which may prevent you from successfully burning files into a DVD disc. There are very few video and image formats can be supported by the DVD disc. For this reason, a DVD creator is essential to make sure that we can burn the videos to DVD disc without any barriers no matter what format they are. Roxio Toast is an all-in one DVD burner software and it is widely used for burning media files into CDs and DVDs on Mac or Windows PC. For average customers, these features are enough; while advanced users may need more, especially when creating discs. Therefore, if you want a more convenient and efficient burning experience, to find a Toast Alternative on Mac and Win is the best choice for you. That is also the reason why I write this guidance. Today in this post I will introduce some Roxio Toast Alternatives on Mac and Win to you. Part 1: What is Roxio Toast? Roxio Toast is an Optical disc authoring and media conversion software application for Mac OS X. It is a powerful DVD creator which can provide the easiest and fastest way to burn media to CD, DVD and Blu-ray discs. Thanks to its extra features, you can even use Roxio Toast to recover the files even when the discs have been broken. It also provides support for audio and video formats that Quicktime does not support, such as FLAC and Ogg. However, despite its powerful and diverse functions, Roxio Toast is still unsatisfactory as a professional DVD creator. The biggest problem is that Roxio Toast just support Mac OS, that means Windows users can’t use it to burn videos on their computer. Furthermore, compared with other DVD creator at the same or lower price, Roxio Toast is not as good as the introduction. For these reasons, if you want to get a better burning experience at a more affordable price, I think choosing Roxio Toast Alternative on Mac and Win is the best option. From above we can see that Windows users can’t burn video to DVD with Roxio Toast and there is better software that can be used as an alternative to ensure our burning experience at the same price. Then in this part I will introduce the best Roxio Toast Alternative on Mac and Win to you- Leawo DVD Creator. Leawo DVD Creator is one of the popular DVD burners around the world, which is a top-of-the-class DVD burner software program equipped with the ability to convert video in many video formats to DVD. It can support more than 180 formats including AVI, MKV, MP4, MOD, Xvid, MOV, and FLV. As a top-of-the-class DVD burner software program, Leawo DVD Creator is equipped with the ability to edit videos and provide the fastest speed and the highest quality. In addition, Leawo DVD Creator has a lot of commendable functions such as adding 3D effect, add watermark and crop video and so on. I promise that Leawo DVD Creator must be your first choice as the Roxio Toast Alternative on Mac and Win. Now I will show you the detail steps about how to use Leawo DVD Creator to burn videos to DVD in different OS. First of all you need to transfer your videos to your computer and then to load the videos to Leawo DVD creator by clicking the “Add Video” button. The invert triangle button next to the “Add Video” button can help you to import the whole video folder or you can just drag them into the main interface. 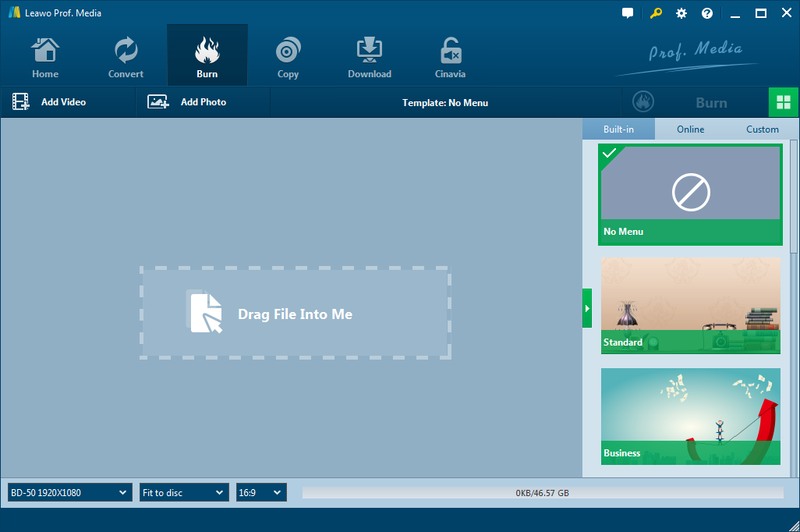 You can use Leawo DVD Creator to add disc menu to output DVD video by calling out the right sidebar as long as you need, in which offers you multiple preset disc menu templates in different themes like Standard, Business, Education, Childhood, Holiday, etc. What’s more, you can even design the disc menu with your own image and audio as well. Or if you prefer to keep the original style, “No Menu” option on the right side bar will help you a lot. After setting disc menu, call out the burning settings panel by clicking the big green “Burn” button and then you need to figure out Burn to, Disc Label, and Save to options. Finally you can get start to burn your videos to DVD by clicking the “Burn” button on the popup burning settings panel. You can either add a single video file or a video folder to this Mac DVD Creator. You can also drag the video file you need to add video files. After loading videos, you can select to burn video to DVD-5 or DVD-9 and choose a suitable aspect ratio 4:3 or 16:9 via the sub-menu at the bottom. What’s more, the “Preferences” option can also help you to do some further program settings such as program language, priority native codec, DVD video mode and external subtitle and so on. Click the big green “Burn” button to call out the burning setting sidebar, where you could set Burn to, Disc Label and Save to options. The “Burn to” option allows multiple choices. To burn video to DVD disc on Mac, you need to insert a blank writable DVD disc into the disc recorder drive, and then select it as the target under the “Burn to” option. After that you can start to burn video to DVD on Mac by clicking on the “Burn” button. With Leawo DVD Creator, you will be able to freely burn all kinds of videos to DVD as you like. For example, you can easily burn MP4 to DVD. Other popular formats like MKV and WMV can also be easily burn to DVD. Besides Leawo DVD Creator, there are still some Roxio Toast Alternatives on Mac and Win that can also help you to burn videos to DVD. Now In this part I’ll recommend the other 3 Roxio Toast Alternatives to you so that you can get the better burning experience with less cost. Just like Leawo DVD Creator, Aimersoft is also a reliable DVD burner which can burn many major video formats to DVD. No matter it’s a downloaded video or a camcorder video, you don’t need to worry about the compatibility issues since Aimersoft DVD burner can convert virtually any SD and HD video files to DVD. There is no doubt that Aimersoft DVD burner can help you to burn videos to DVD. 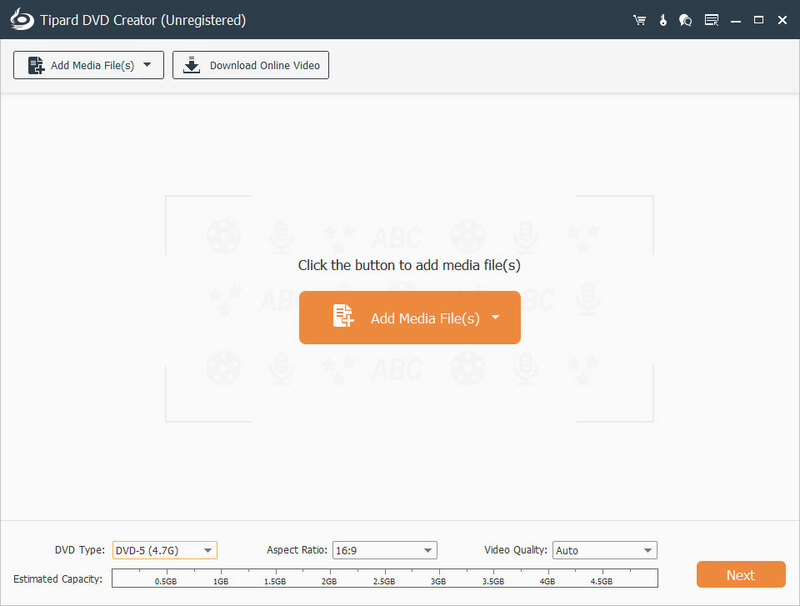 The next one I want to recommend to you is Tipard, an all-in-one DVD Creator that provides the reliable method for you to create DVD with any video file like MP4, AVI, MOV, WMV, FLV, MKV, VOB, MPEG, MTS, M2TS and TS. It is a multi-functional application to help you edit your videos or do some further settings just like adding subtitle and taking snapshot. The last one I want to recommend to you is iSkysoft, also an all-in-one DVD Creator that provides the reliable method for you to create DVD with any video file like MP4, AVI, WMV, MKV, MTS etc. With an array of custom DVD templates, you can easily find the right DVD theme for your DVD project. What’s more, it can help you to put several video clips together to make a general DVD folder or ISO file, also, you can directly burn the DVD disc. As far as I’m concerned, as a Roxio Toast Alternatives, Leawo DVD Creator is perfectly capable of this task. As you can see Leawo DVD Creator has done a very good job and can easily burn videos to DVD disc with the fastest burning speed and the best output quality. I can assure you that it will satisfy you because of its fast burning speed and the best converting quality. If you are tired of finding various kinds of DVD Creator, I think Leawo DVD Creator will be your favorite DVD Creator which can meet your needs all the time.